This is a repost of an article I originally wrote in 2010, and it details more specifically the CFIA’s insistence that any dog imported by a ‘commercial importer’ (if you breed, show, train or handle dogs, CFIA designates you as a ‘commercial importer). The import restrictions now being enforced by Canadian Border Services, on behalf of the Canadian Food Inspection Agency, grow increasingly disturbing the more they are examined. sourced from dealers licensed by the United States Department of Agriculture (born in a licensed kennel). In a nutshell, they must come from USDA Breeders. Apparently, the CFIA thinks that a USDA designation is some sort of ‘stamp of approval’ of breeding quality. That would be funny, except it really isn’t. USDA breeders are pretty much universally loathed by show breeders, and anyone who is breeding dogs for any other reasons than financial gain. Their requirements for housing and care are inhumane, so far as any ethical breeder is concerned. Click here, to see the rest of the illustrations, and the USDA guidelines they are based on. This restriction might have been fine when the designation of a ‘commercial’ importer was basically anyone who was importing puppies to be re-sold – ie; pet stores who sell puppies. Now that we’re told by CFIA that “commercial” designates anyone in Canada who has ever “bred a litter, shown a dog, or trained a dog”, this USDA restriction isn’t just unpleasant, it’s un tenuous. Even if anyone of us wanted to go to the trouble and expense of importing a USDA bred dog, we likely couldn’t couldn’t do anything with it in Canada once we had. More and more USDA breeders don’t use the American Kennel Club to register their litters – ‘alternative’ registries like ARPA and the ConKC are cheaper, ask less questions, and welcome AKC suspended breeders with open arms. In Canada, the only American bred dogs that the Canadian Kennel Club will register are AKC registered dogs. This isn’t just a problem – it’s a big problem, because as a CKC member, we’re not permitted to breed dogs that are not CKC registered. This brings us back again to the issue at hand, which is “Can the CFIA’s regulations contravene the requirements of the CKC, which is mandated to maintain the integrity of Pedigree dogs in Canada, via the Animal Pedigree Act?”. “That’s not my concern. 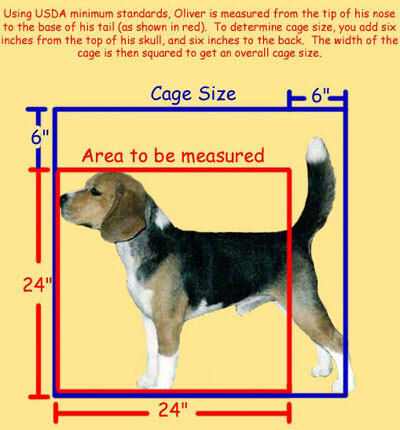 Unless the breeder is on the USDA list of licensed kennels, I do not issue the permit”. CFIA obviously sees no difference between a hobby breeder who imports one puppy every ten years, for the benefit of their own breeding program, and someone importing trucks full of puppies to be re sold in pet stores. I also suspect that a large part of the problem is that CFIA (which is, after all, short of Canadian Food Inspection Agency) sees dogs as just another ‘crop’ or form of livestock, to be raised under regulated ‘farm’ conditions, such as these at a “Benchmark Award Winning USDA Licensed Kennel Facility”. I’m sure that, if you asked Dr. Susan Wray or any of her colleagues at the CFIA, these are the conditions they’d like to see imported dogs raised under – tidy, sanitary and completely cold and devoid of affection or human interaction. But, dogs aren’t livestock – and many of us are beginning to believe that even livestock being raised for the table deserver more stimulating environments than this, much less dogs being raised to play the role of family pets. The simple answer would seem to be ‘don’t bring in dogs under eight months of age’, but that’s not so easily done. First of all, most breeders are unlikely to hold on to their show prospect puppies until eight months, just to help Canadian breeders comply with this sort of draconian legislation. Secondly, while bringing in a small breed puppy older than eight months might not be that big of a deal, it is infinitely harder for breeders of large or giant breeds. Shipping an eight week old mastiff puppy is fairly uncomplicated – shipping an eight month old mastiff is something else altogether. I’ve called the CKC, and have left a message asking for their input on this situation. Hopefully, someone within their organization will feel that this is their concern. As a CKC breeder, it certainly is mine. Addendum: A few people have written asking me for the contact information for the CFIA, and for their import specialists. Here it is, from the Equine Canada Website. For more specialized questions about importing dogs, please contact them directly. This is a repost of a blog entry I wrote in 2010. 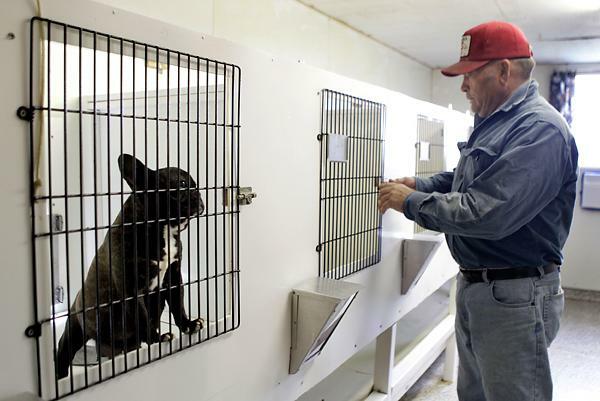 The rules have still not changed, although the Canadian Kennel Club, which is the body that supposedly advocates for purebred dog breeders in Canada, has been asked repeatedly to lobby CFIA and Agriculture Canada for more reasonable rules of entry. Many of us who breed or show dogs in Canada have imported dogs from other countries. For years, all that this required was a simple rabies certificate – the same as any pet dog traveling across the border required. Effective immediately, however, dog fanciers who are flying a dog into Canada from another country have an additional paperwork requirement – a CFIA Import Certificate. Two bodies are involved in the importation of dogs into Canada – CFIA, or the Canadian Food Inspection Agency, and CBSA, or Canada Border Services Agency. The CFIA governs the rules applying to dogs imported into Canada, and the CBSA enforces them. As I mentioned, the requirements for pet dogs to travel into Canada are fairly simple – a current rabies and health certificate. The CFIA, however, has decided that dogs being imported into Canada by anyone who shows dogs, handles dogs, trains dogs, competes with dogs (for example, in agility or obedience) or breeds dogs are NOT pets – they are a commercial import. How a puppy with an unknown potential can be considered valuable commercial goods escapes me, as I’m sure it escapes most of you. It doesn’t matter how we personally feel about this ruling, because CBSA has decided that they will be rigorously enforcing this, starting immediately, and they’re using Google to do so. to determine if they are a breeder or a show exhibitor. Anyone who has ever shown a dog in Canada, bred a litter in Canada, or otherwise been involved in activities which can be defined as breeding, handling, training or showing dogs is now subject to this classification. Dr. Wray also told me that anyone bringing a dog to the USA for showing, or with a dog returning from showing in the USA, should be exempt from this restriction, so long as it’s a dog they already own. b) that it’s been out of the country and why. This would mean either proof of show entries, or for those who send their dogs out of the country for breeding, proof that their owned dog was sent away to be bred. Irregardless of how nonsensical all of this seems, we’d all do well not to ignore it. As of last week, four dogs that I know of were denied entry at Pearson Airport, for the lack of a simple form costing just $35.00 . “Denied entry”, by the way, means just that – they were returned to their original shipping country, which in one case was Chile – and that’s a return flight of another 24 hours, with the receiving person being responsible for these charges and fees. And don’t expect that pricey ‘commercial broker’ that you hired to get your dog into Canada to know anything about these forms, either – in at least one case, the dog’s importation was arranged via a pet brokerage firm that was blithely unaware of this not-s0-new requirement. Not only did they screw up, they also refused to take any financial responsibility for it, saying, in essence “Hey, we got the dog to Canada – it’s not our fault we can’t get him through customs, too”. Don’t forget, you must also get the person shipping the dog to you to obtain all of the required paperwork as outlined on this form. This basically means an Official Export Health Certificate (this is NOT just a regular health certificate issued by a veterinarian, but rather a document specified by the seller’s country of origin). If the dog is over three months of age, it must have received a rabies shot, and the dog must also have been permanently identified via microchip before leaving the country of origin. You’ll then be presented with the list of requirements which you must have, including the section which specifies that you must obtain an import permit from CFIA. You should, additionally, have a receipt from the dog’s breeder/seller showing the amount that you paid for the dog, and you should be prepared to possibly pay duty. Have fun reading through it all – there’s a lot to digest.